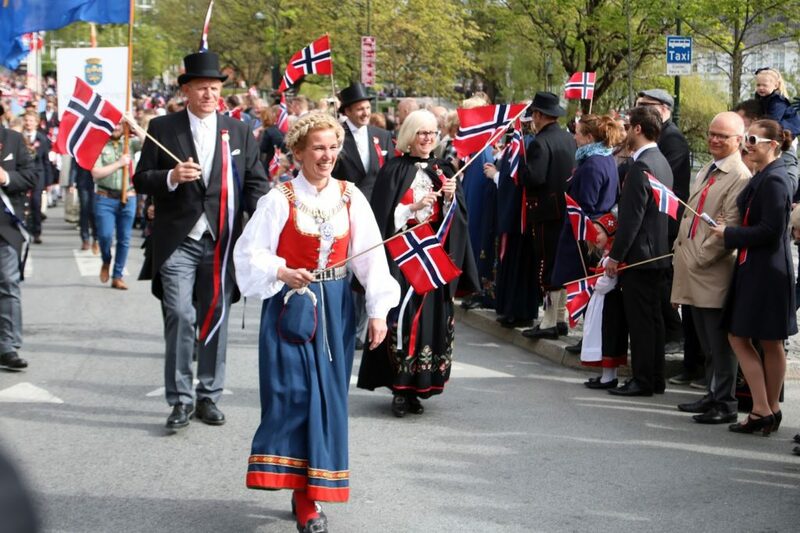 17 mai (syttende mai) of 17 May is a national holiday in Norway and it’s also the most celebrated day of the year! 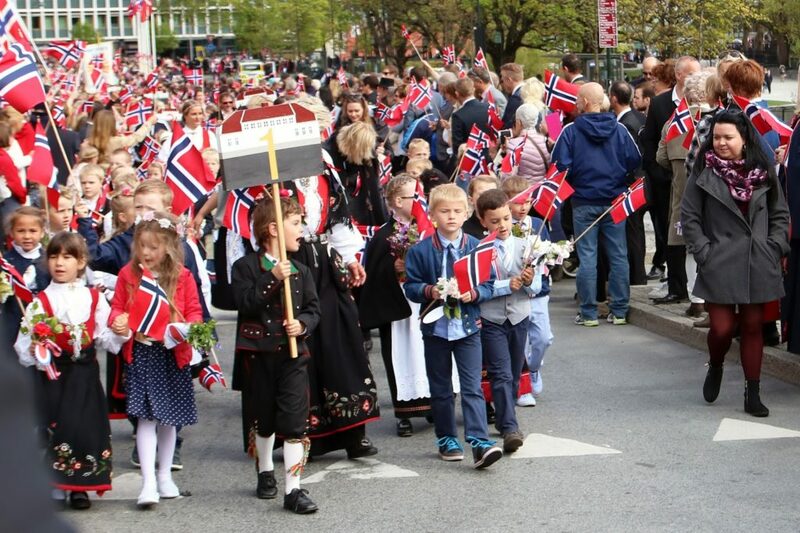 It’s the Norwegian Constitution Day and it’s basically Norway’s birthday so everyone has to celebrate by eating ice cream, saying congratulations to people and taking part in the parade! 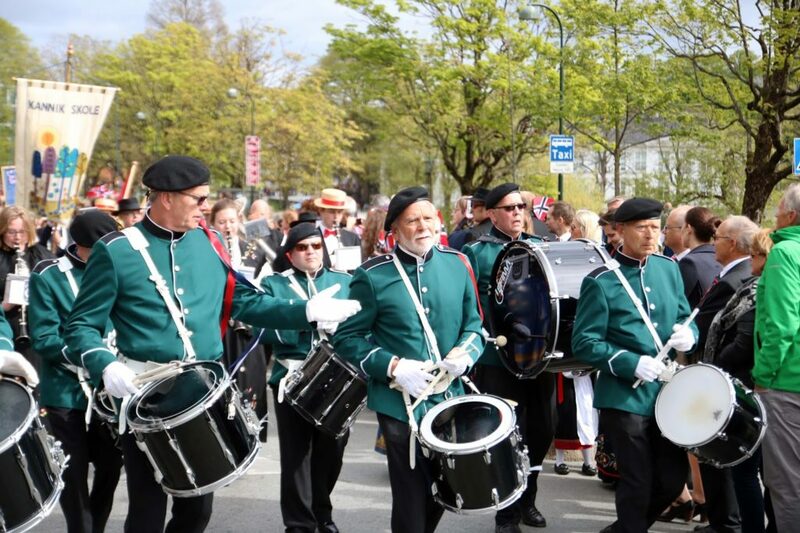 Unlike Christmas eve where everyone sits at home with families, 17 mai is all about gathering in the city, meeting family and friends and watching other people! 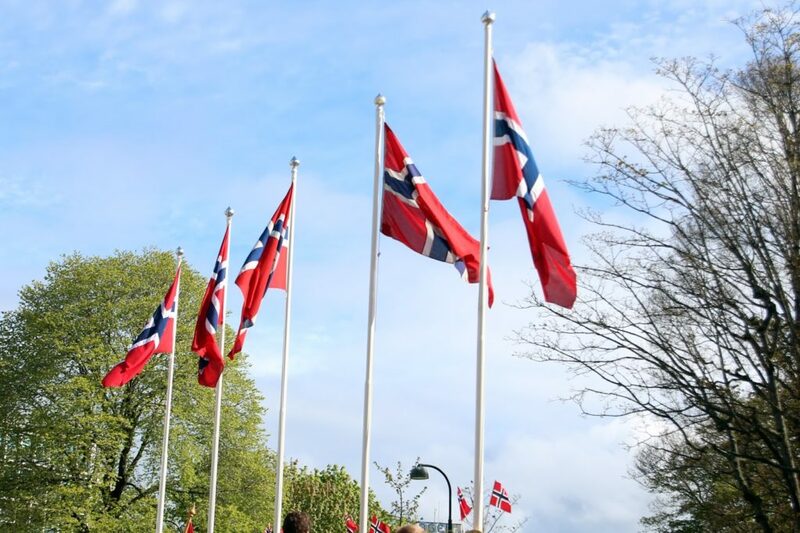 The whole Norway is literally on the move! 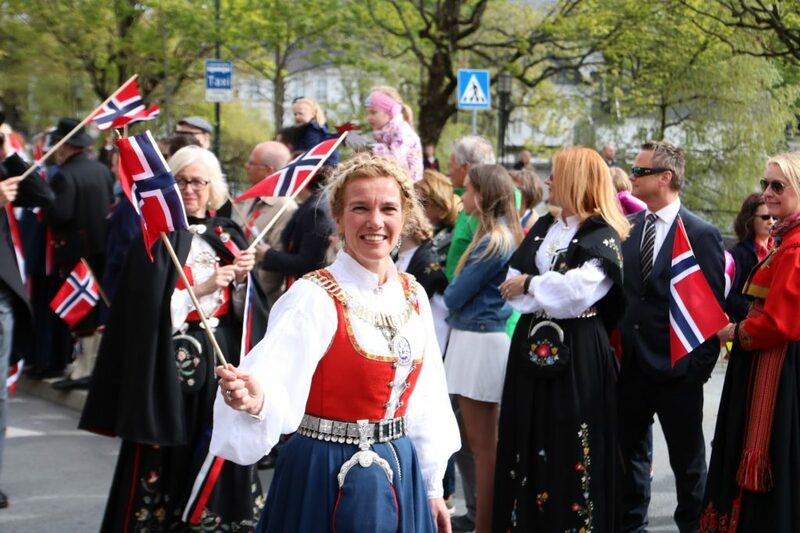 I was lucky to take part in the 17 mai celebrations in Stavanger this year and snap a few photos of happy people, flowers and waving flags! 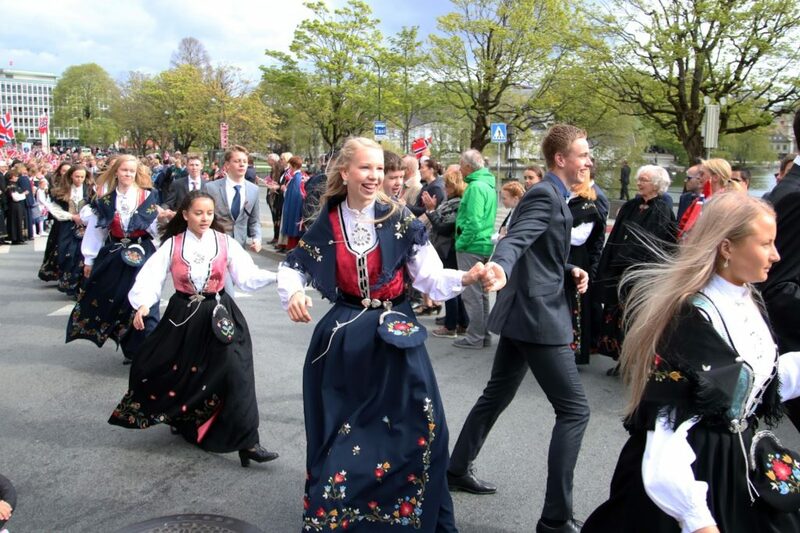 The city isn’t very dense, but on this special day, everyone is gathered around Stavanger Sentrum (City Centre) to sing, dance, take part in the parades and be happy! 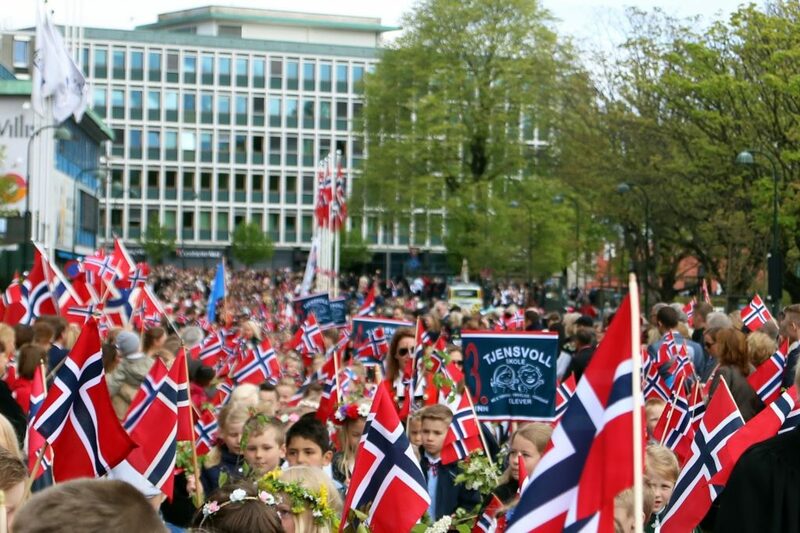 It’s a really positive atmosphere and it’s literally the happiest day in Norway! 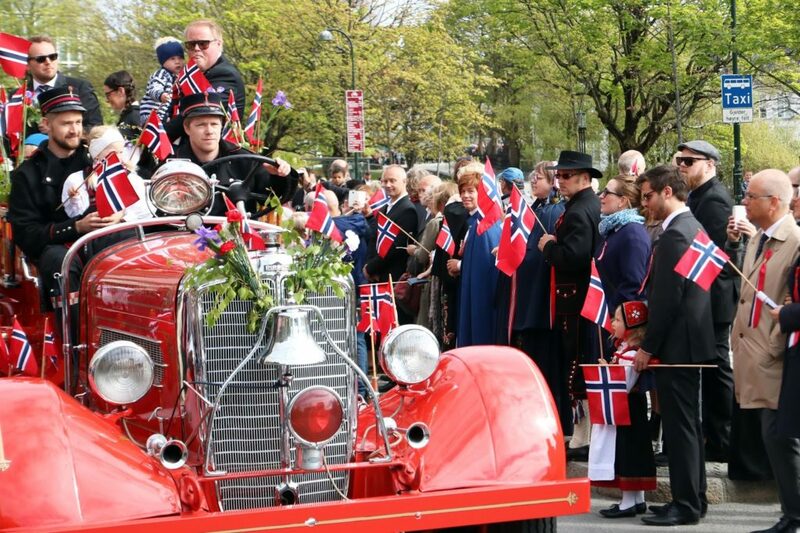 The mayor of Stavanger, Christine Sagen Helgø took part in the parade too! and she was very happy throughout the day! There are three different parades that takes place every year and I saw all of them from start to finish this year. 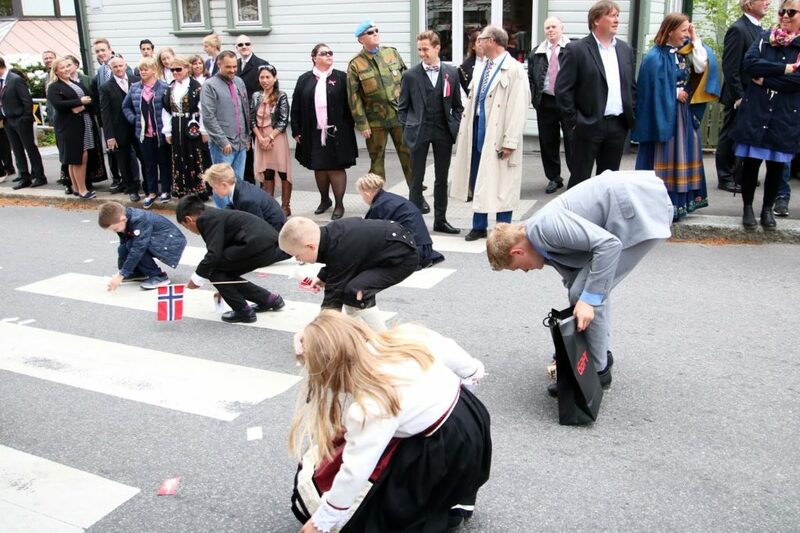 The children’s parade is always the first one to take place, which is followed by “Russetog” – the graduates parade. 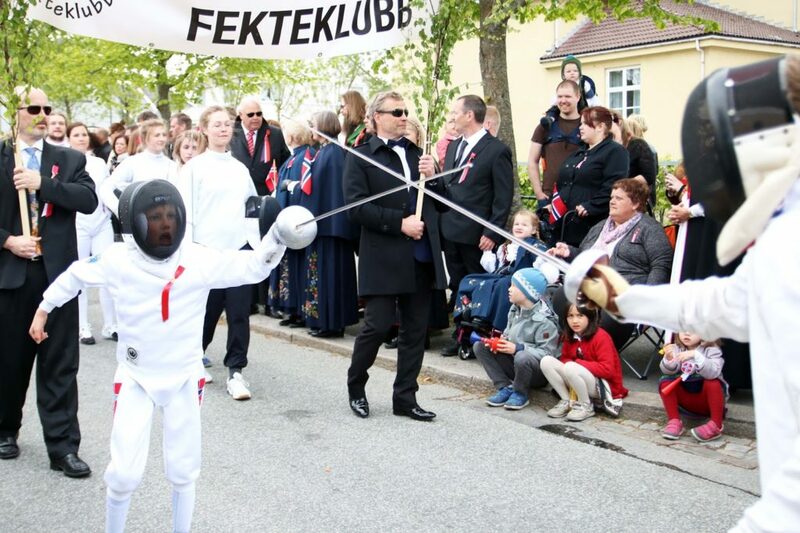 The last parade to take place is “folketoget” for the people! This is the most popular one and anyone can take part as long as they’re part of a club or society! To start the day, we watched the Children’s Parade which started at 10am. All schools in the city took part and there were thousands of people watching the 2 hour parade that started from the city centre! 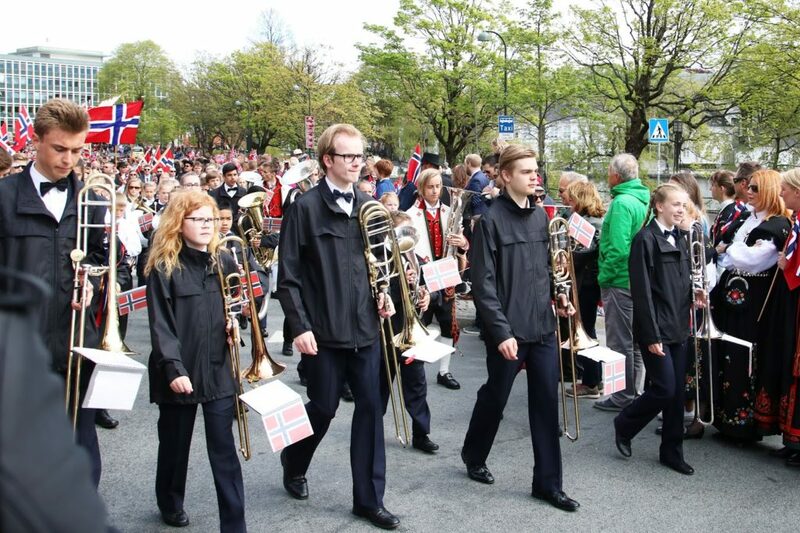 A lot of the schools brought their own school bands and there were also a few official city bands that walked among the children to brighten up the atmosphere. 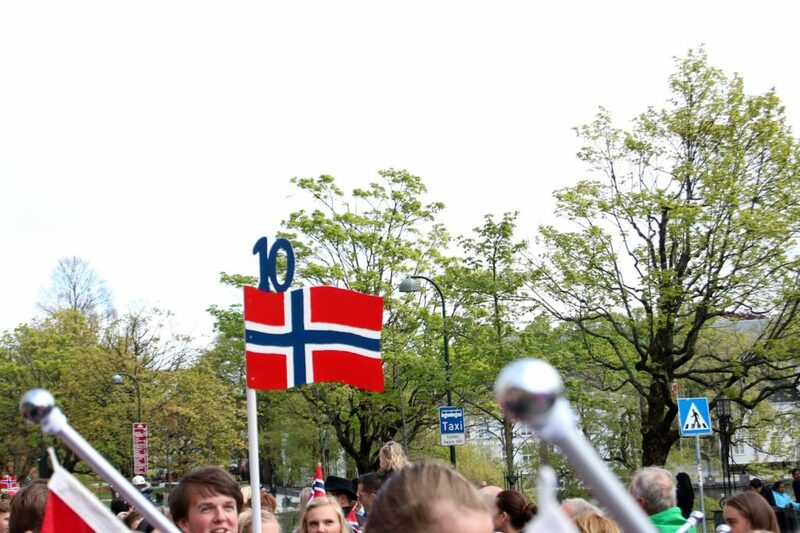 There were loads of flags and people wearing “bunad” (the Norwegian national costume) everywhere. 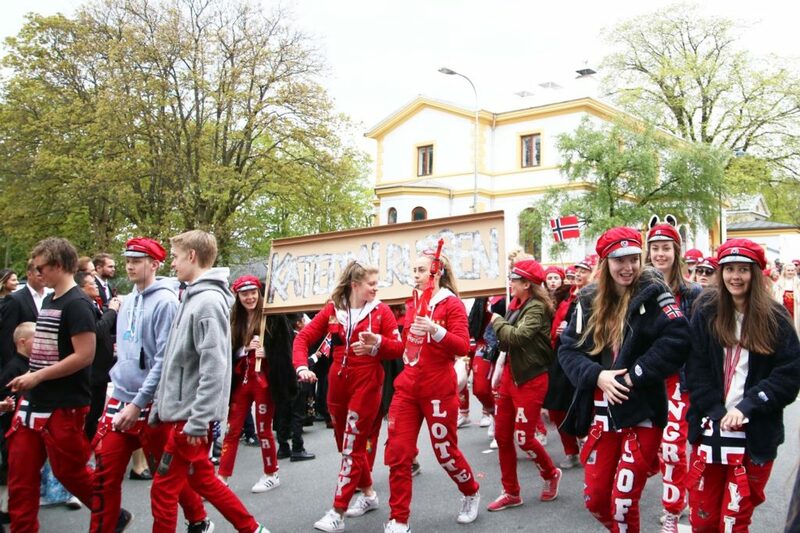 Russtoget, which took place next is a bit of a special one… it’s literally a party of crazy and loud teenagers! The word Russ is unique to Norway and there is no English translation for it! 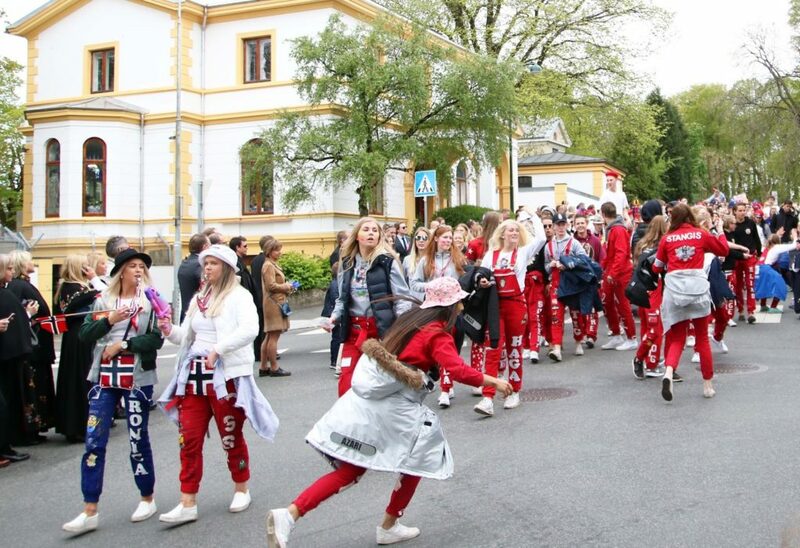 It’s a tradition in Norway where all secondary school graduates get to celebrate the end of their last year of compulsory education and go crazy for two weeks. You can always tell that someone is a “Russ” because they always wear red or blue self-decorated dungarees! On top of that, Russ gives out “business cards” and little kids go slightly crazy about collecting these! Folketoget is the longest parade of the day! It’s an opportunity for every club and society in the city to take part in the celebrations and showcase their skills! Most of these clubs were sports club, but there were also a couple of bands and internationals societies that took part. Here are some highlights from the people’s parade! 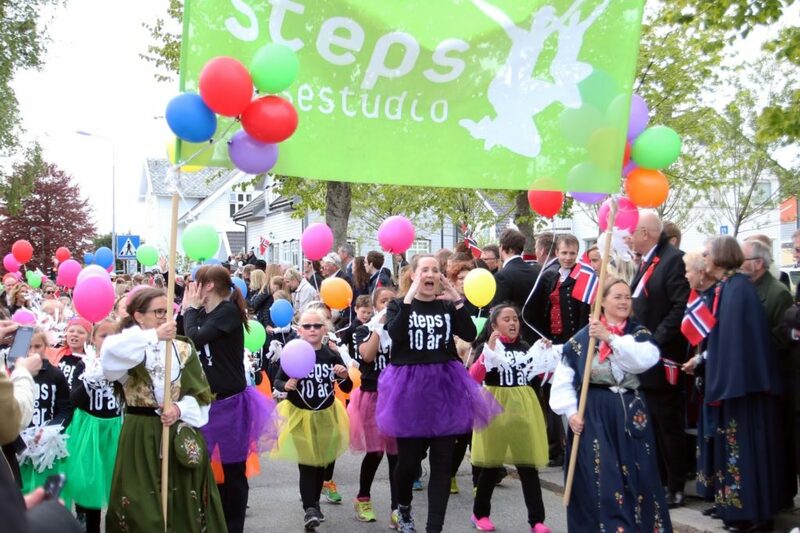 The dance studio was one of the largest clubs in the city and they danced throughout the parade! Of course there’s a ski club in Norway! Guess what sport these people do? 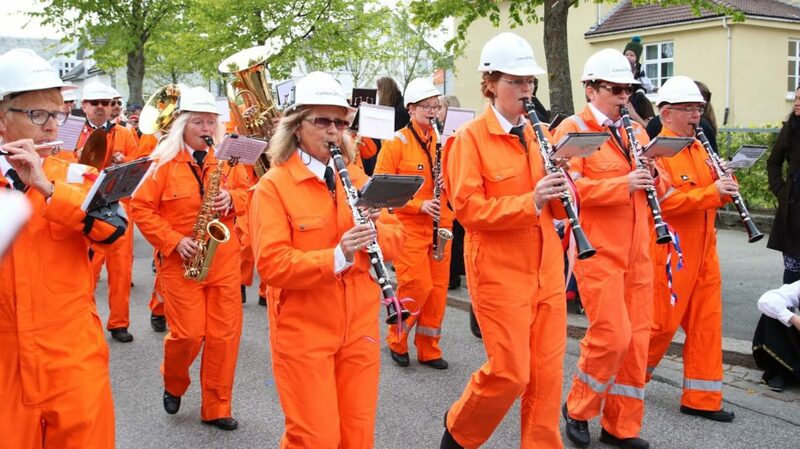 Conoco Philips has their own company band and they’re wearing oil rig uniforms! 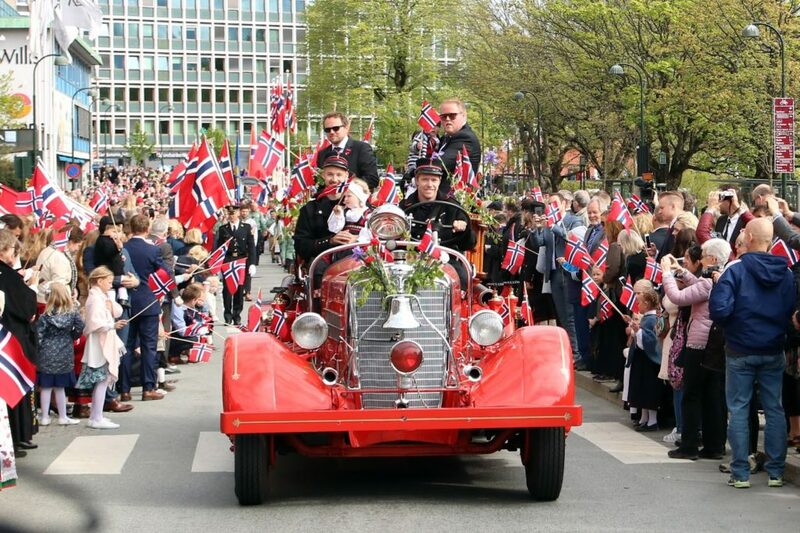 17 mai is not only celebrated in Norway, every city in the world that has a Norwegian community celebrates this national day with pride! 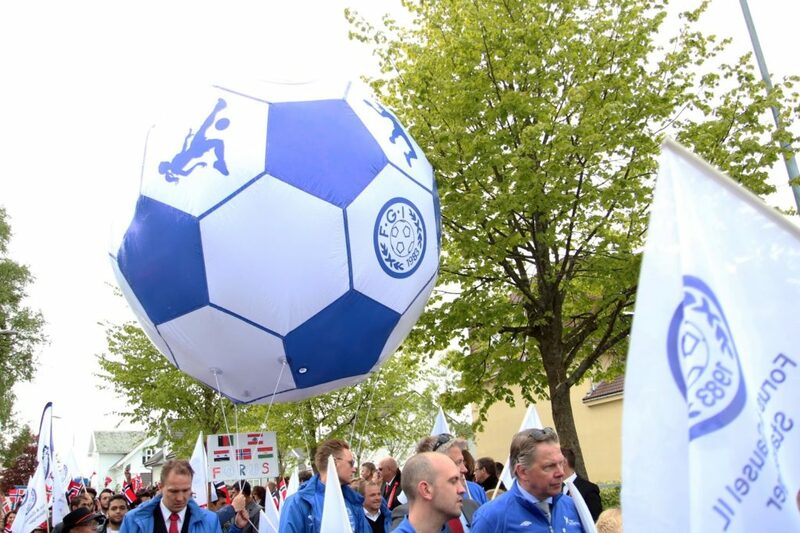 There’s also a parade in London and you can go and watch the celebrations next year on the 17th of May if you’re curious! 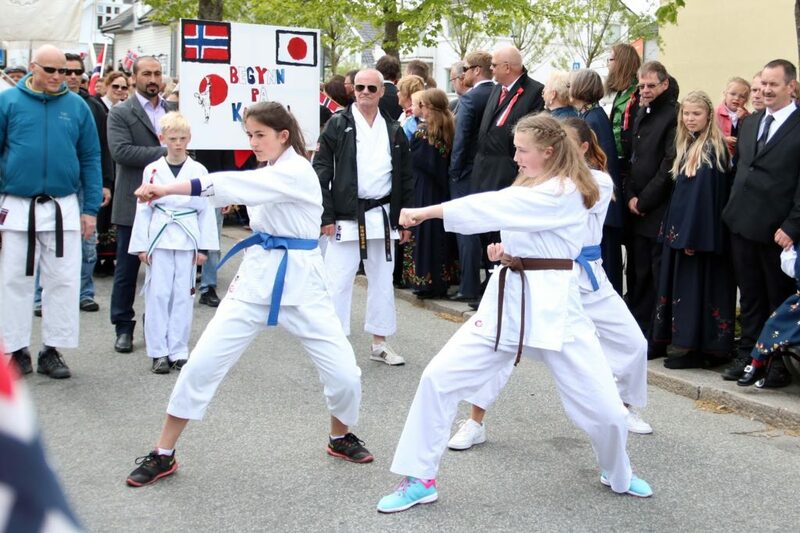 Have you heard of 17 mai before or taken part in the celebrations?